Russia’s Gazprom has paid $1billion to the consortium of Germany’s Wintershall, Italy’s ENI, and France’s EDF for their stakes in South Stream Transport. Gazprom reportedly paid Italy’s Eni, which owned 20 percent of South Stream approximately $390 million, and about $290 million each went to France’s EDF and Germany’s Wintershall, who both had a 15 percent share of the project. The Russian company was not obligated to buy the stakes as they all shared the project risks. However, Gazprom is interested in saving South Stream Transport’s pipeline construction contract with Italy’s Saipem. The pipe-laying fleet Saipem mobilized to build South Stream is still in the port of Burgas and Gazprom is paying hundreds of thousands of euro per day, waiting for the work on Turkish Stream to start. The South Stream project was agreed in 2012, and was seen as an important step towards energy security for Europe, as it would bypass politically unstable Ukraine, and reduce the reliance on gas from North Africa. However in December, Russia was forced to withdraw from the project due to the EU’s unwillingness to support the pipeline. The EU Commission has been pressuring member states to withdraw from the project, with the Bulgarian government saying it will not allow Gazprom to lay the pipeline without permission from Brussels. The project has been replaced by Turkish Stream, an alternative gas pipeline from Russia, under the Black Sea to Turkey, and on to the Greek border, giving Russia access to the Southern European market. 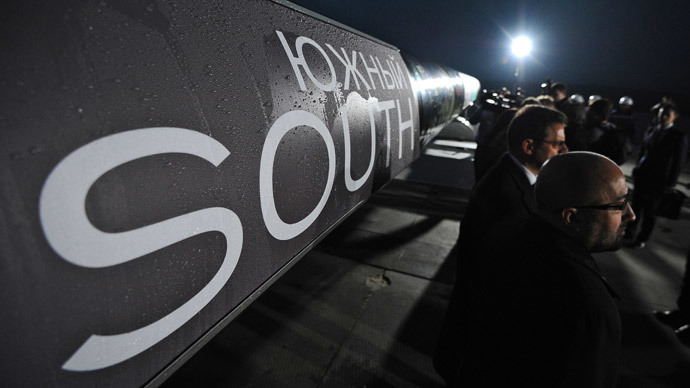 Unlike South Stream Russia will no longer be responsible for the pipeline within Europe. It will only build up to the Turkish-Greek border. The redemption of shares belonging to European South Stream shareholders has several positive aspects in addition to costs, as Gazprom becomes the sole owner of all the property and assets of the project, the head of Russia’s National Energy Security Fund Konstantin Simonov told Gazeta.ru. “Firstly, the pipes that have been already purchased might be used in the construction of the Turkish Stream. Secondly, a feasibility study on South Stream has been already conducted, meanwhile three-quarters of the route coincides with the Turkish Stream route,” Simonov was quoted as saying.